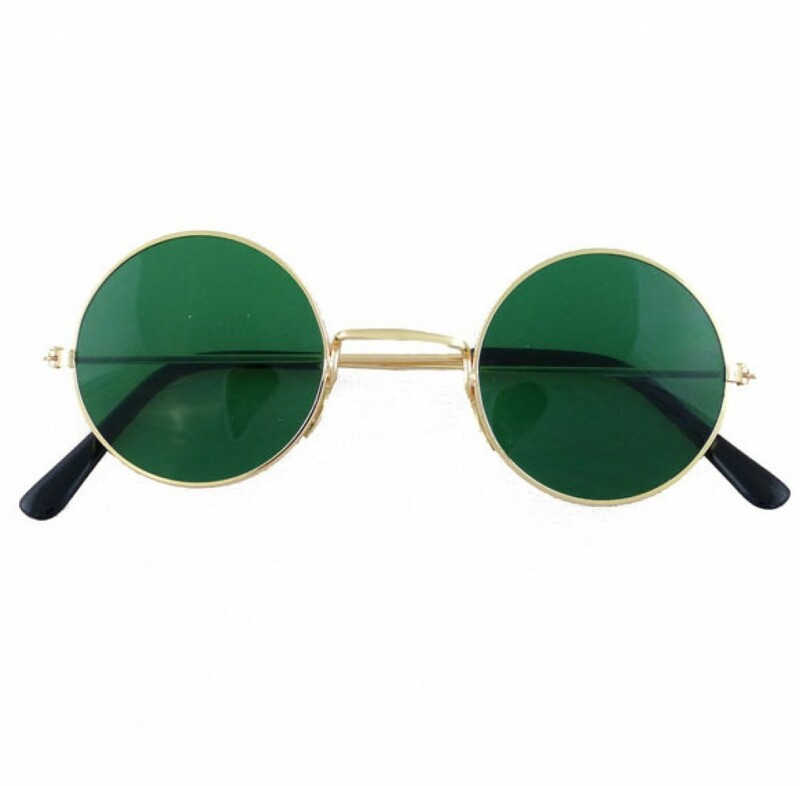 A pair of round fancy dress glasses, with Green lenses and a thin gold metal frame with plastic tips so they are comfortable to wear. 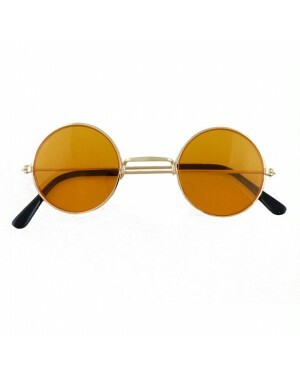 A fun fancy dress accessory for a Hippie theme, Beatles fancy dress & perfect for festivals! One size, to fit most. Size guidelines: Small frames which measure approximately 5" wide across the front.